As I start 2018, I am reminded of why golf is an important aspect of my life. The thought of hitting the course (in 4 months) makes me smile and opens up my mind to the possibilities of great things. Unfortunately for many, they do not see the value of playing golf, nor are they inclined to try. I respect their view because there must be a perceived value in everything we do. Surprisingly, I believe that most nay-sayers made their decision based on false information; they truly do not understand the mental and health benefits of playing golf. Do you? If you quickly search “the benefits of golf”, an extensive list arises and there are no shortage of experts providing an opinion. Before you read on, understand that I am not an expert, but have played golf for over 40 years and my list below was developed from experience of trial and error. It is up to you to decide what works or doesn’t for you. Communing with Nature – I love walking in the great outdoors. There is a dual benefit of breathing fresh air and the serenity of looking at a green space. Being outside is fantastic for my soul. As a cancer survivor, the Vitamin D from the sun is very important. Being outdoors for hours (avoid being sun burned of course) his extremely beneficial; so communing with nature is extremely important to me. Golf is a contact sport – I meet many interesting people on the golf course. No matter who I play with, there is always a conversation about life, work, family, or what is happening around us. Golf is a contact sport and the social aspect of playing golf eliminates having a computer or a phone as the medium to which I talk to people; this is of great value to me in today’s busy lifestyle. Burns calories – It is suggested that between 1000 – 1500 calories are burnt during a round of golf. Well, the variables are endless when figuring that exact number. It depends if you walk, carry your clubs, the terrain and how often you look for golf balls. In some cases over 2017, I felt like a mountain goat climbing over logs and rocks looking for golf balls, this had to have increased my calorie count! Reduces Stress – Well, golf reduces stress! Depending on your expectations and how you approach golf, it can be very relaxing. The time on the course allows me to release some of my daily stressors by being in the moment. I always feel mentally refreshed after a round of golf and that is very therapeutic for my lifestyle. Working Core Muscles – as seen below, golf works many muscle groups. Not only swinging a club is beneficial, but golf employs lifting, bending, turning, and squatting movements to name a few. Sounds like a program we would pay a professional at our local gym to develop. Golf definitely works my muscles. Weight Loss – This one is an interesting topic. Weight loss cannot happen by physical activity alone. For me, it has to be a whole approach; so depending on what I eat at the 19th hole and how often I golf (plus a few other things) will determine if I am really going to lose weight. This is very personal topic. Working My Brain – Golf is a very cerebral sport. If you think you can mindlessly loop the course without engaging your brain, well it is time to re-evaluate your approach to golf. Golf is definitely about engaging your brain on every shot. The multitude of factors that are considered before every swing can be staggering. Not to mention the math required to figure distances, angles, torque, pressure, and swing speed to hit a perfect shot. Golf gives my mind a workout every time I hit the links. I could continue with a more exhaustive list, but I think you get my point. Golf is important to my mental and physical activity. It is a big part of my life during the warmer weather and not just because it is a fun game to play, but how it helps me maintain a well-balanced approach to my mental and physical life. The University of Edinburgh conducted a study and released this notice: Golf’s many benefits brought to the fore in health study. It uses statements by Padraig Harrington and Annika Sorenstam to support their findings. “The Golf & Health Project, supported by the World Golf Foundation, aims to explore the many and varied health and well-being benefits of golf by investigating current, academically-reviewed research and conducting innovative, new research to explore other areas and opportunities.” You should check it out! On a side note, Golf Digest wrote a Golf Digest Parody that you might find funny. Although it is meant to be humorous, there is a hint of truth to every category. Lastly, the infographic below is from Fix.com. It sums up much of what I mention above and worth a look. Golf is important to my overall well-being. I think if a non-golf really takes a look at the benefits of golfing, they will find real value for taking up the sport. They just need to be properly informed. I call that a bonus. It has nothing to do with why I play but my addiction to the game does make me want to do more exercise so I’ll be better fit to play my best. Jim, very true. 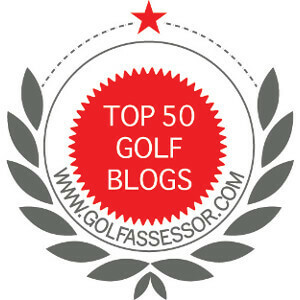 Every non golfer who doesn’t understand the game would benefit from reading your post. Thanks Brian! That is very kind.